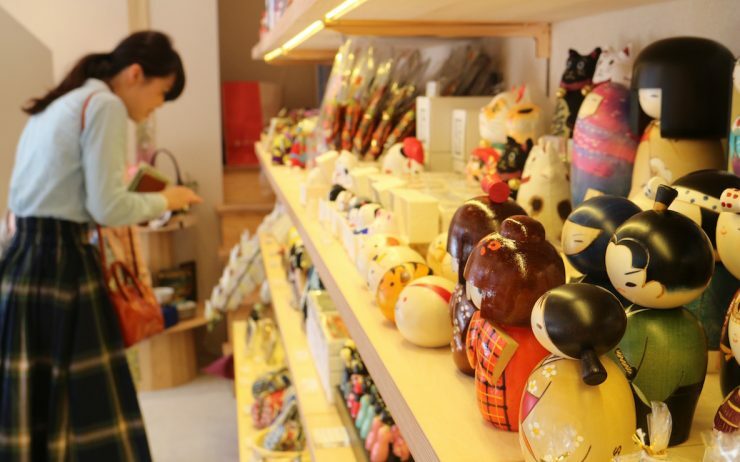 Buying souvenirs can sometimes be a headache. 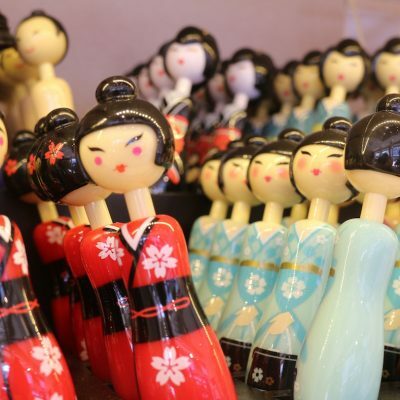 Whether you’re living in Japan and don’t think you can get away with presenting grandma another set of cherry blossom chopsticks; or you’re traveling and want to bring something back that reflects the awesomeness of your trip, it’s hard to find the right gift. 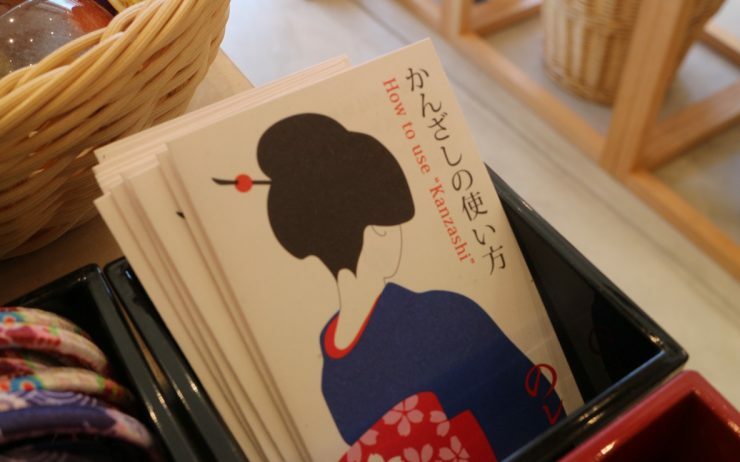 Even in Kyoto which offers a number of options for souvenir shopping, gift browsing becomes a burden; having to elbow all the other tourists out of the way to look at varieties of kitsch you have no idea how to use until you end up opting for the most recognizable box of something – Kit Kats. 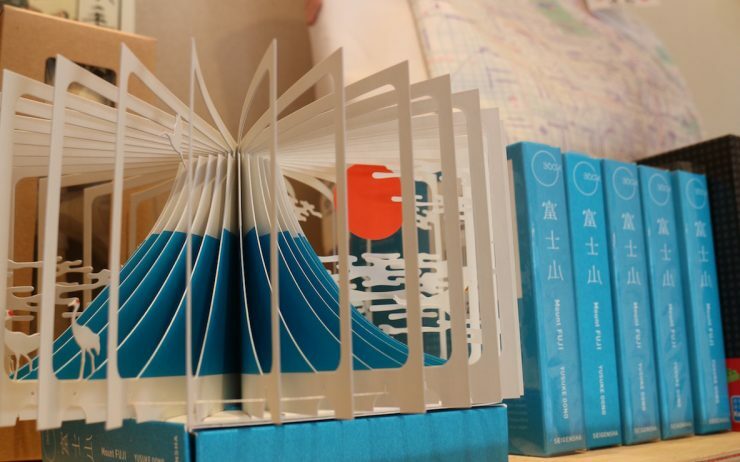 Enter Noren by Corazon: a boutique gift shop that sets itself apart with its cool, contemporary and beautifully-designed souvenirs. 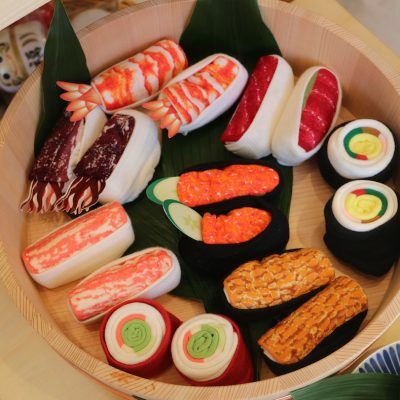 Designed by Keisuke Unosawa, literally an award winner who’s worked with MoMA and Veuve Clicquot (just to name-drop a few), the products at Noren are real works of art. Best of all, in spite of appearances, they’re affordable. 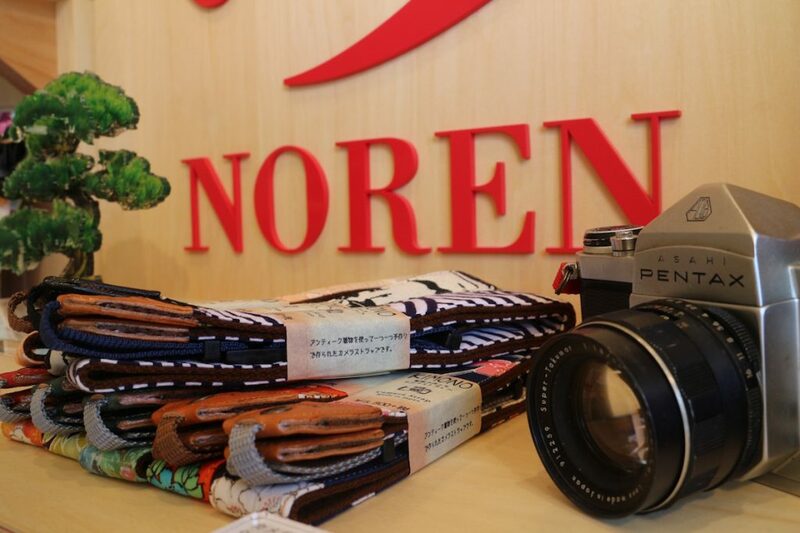 Noren have just opened a new branch along Kyoto’s main shopping street, Shijo-Dori, which I went to visit. 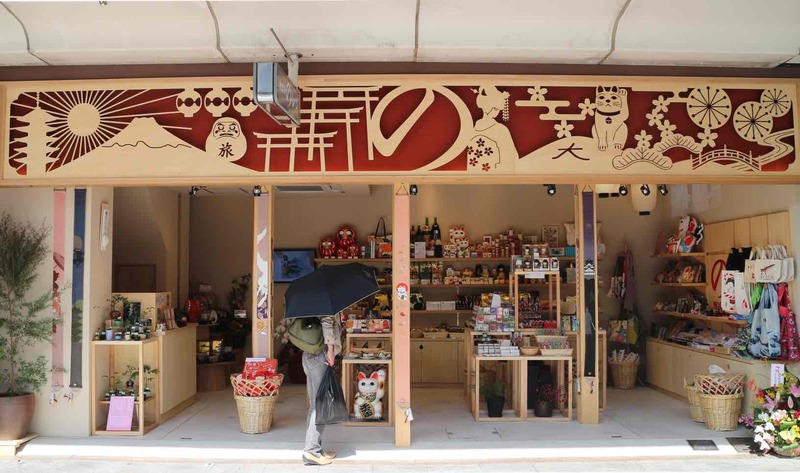 A 2-minute walk from Kawaramachi station, opposite the Takashimaya Department Store, the shop’s exterior is completely charming – you can spot the carved wooden sign and washi-covered pillars like something out of a colorful pop-up book. The storefront is entirely open, letting passing shoppers wander in whenever something catches their eye, which, while I’m there, is often. 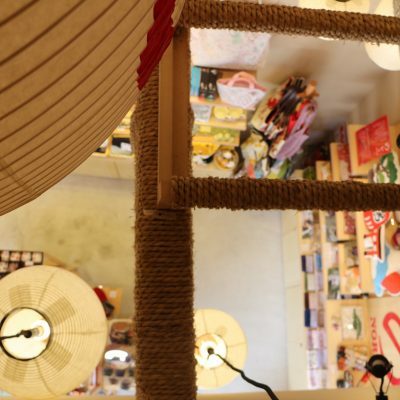 Inside the range of products is laid out across fragrant hinoki shelves while illuminated white paper lanterns hang from the ceiling, inspired by the famous Gion Festival held every July in Kyoto, Corazon’s Marketing Manager Teshima-San tells me. 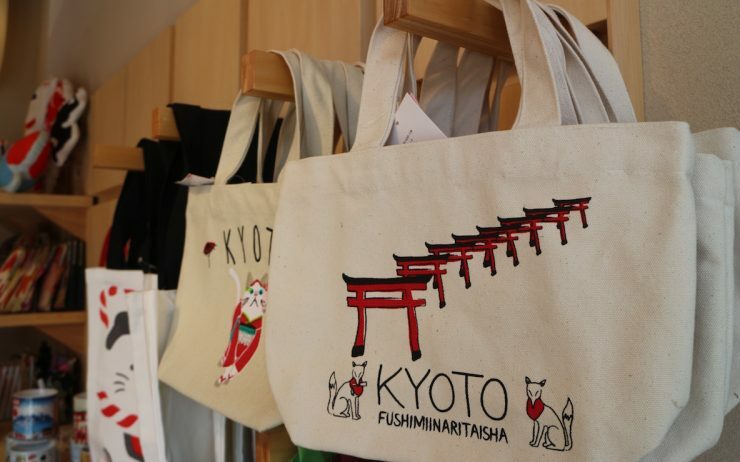 We wanted to create an authentic feeling of Japan, not just through the design of our products but also in the stores where they are sold. 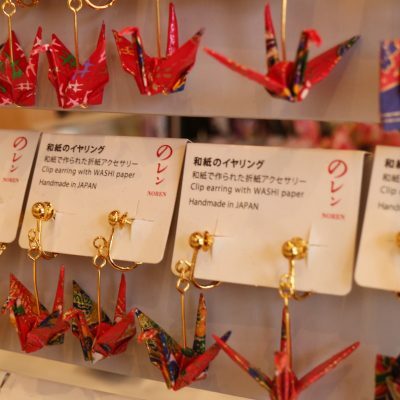 Looking at the different souvenirs, it’s clear that each was made to tell a story about a certain place in Japan, or a particular element of Japanese culture, in an innovative way; the delicate origami crane earrings, the bags imprinted with maps or scenes from different parts of the country, the cosmetics based on traditional Japanese scents like “spring sakura” and “autumn kinmokusei”, the handmade watches crafted by a Japanese interior brand. Even the beautiful pens could double as room decorations. 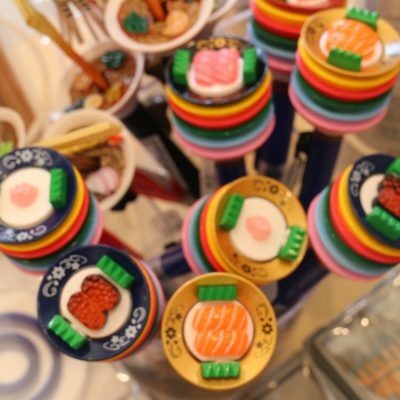 I wonder if it’s acceptable to buy omiyage for myself. 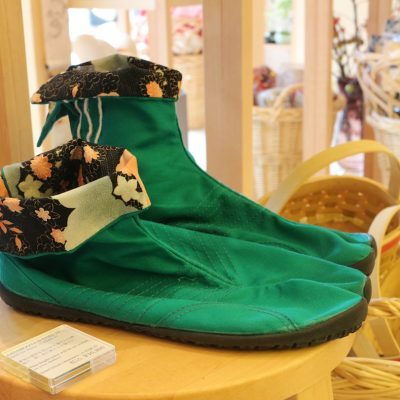 According to Teshima-San, the concept of Noren is based on the fusion of traditional and contemporary Japan. 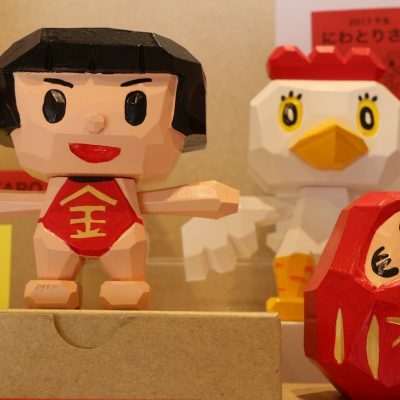 Souvenirs point to an aspect of the culture in a surprising and creative way. They’re also functional – meaning you’d actually use them in your everyday life (instead of putting them in a drawer with the other random memorabilia). 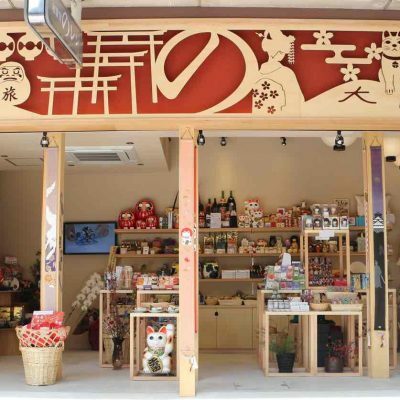 “Our target customer includes both foreign and Japanese tourists. 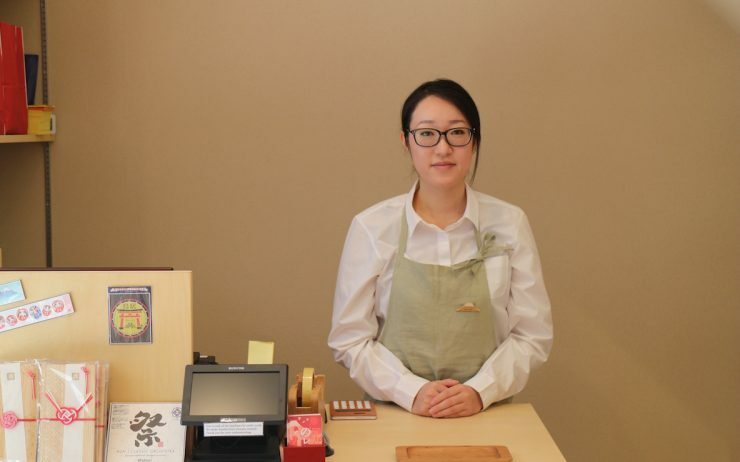 When visiting our shop, we want people to discover some new element of Japanese culture that they were unaware of before, and that can be relevant in their lives,” she says. 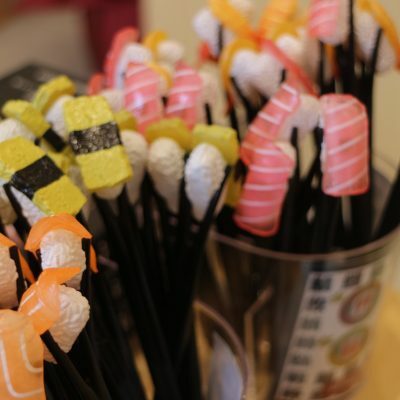 A lot of the souvenirs at the store have some kind of cool, modern twist to them while still being practical. 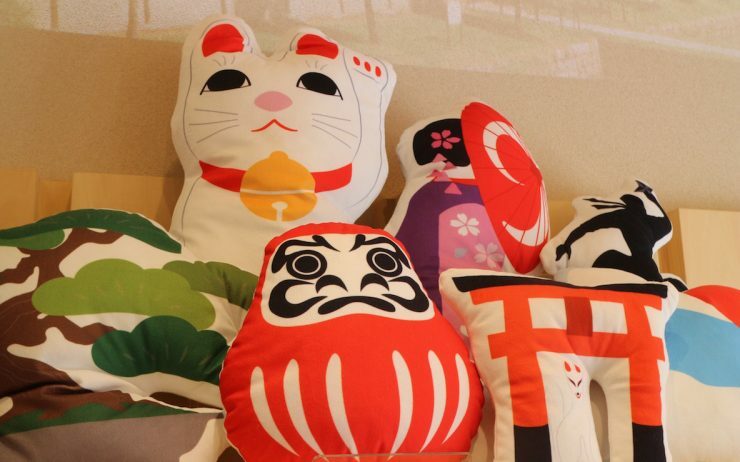 There’s the portable maneki-neko cushions and the kimono bottle wear; the tote bags are fashionable, and the bonsai plants look easy to maintain (even for a plant-killer like me). 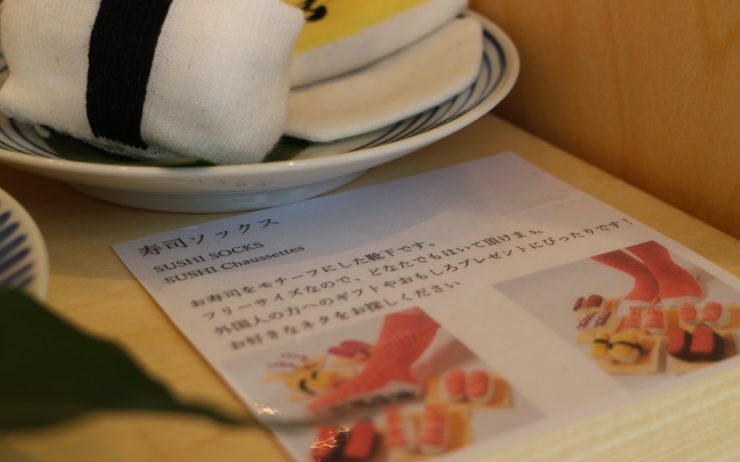 No worries if you’re not sure how to use something as the gifts are labeled with explanations. 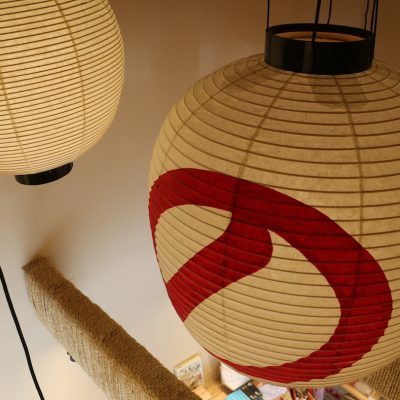 There’s even a screen playing videos of how to tie furoshiki (traditional wrapping cloth) as well as a projector displaying travel videos of Japan. “What’s the most popular souvenir?”, I ask Teshima-San. 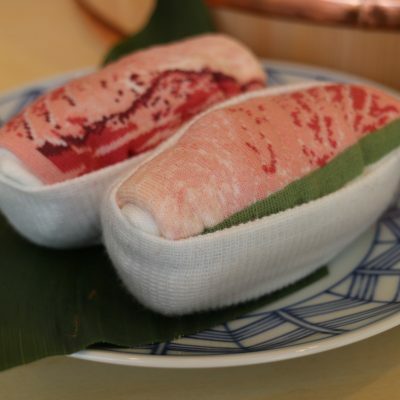 She points to a sushi hangiri (a kind of wooden tub used for preparing sushi rice) and what looks like two portions of tuna nigiri. 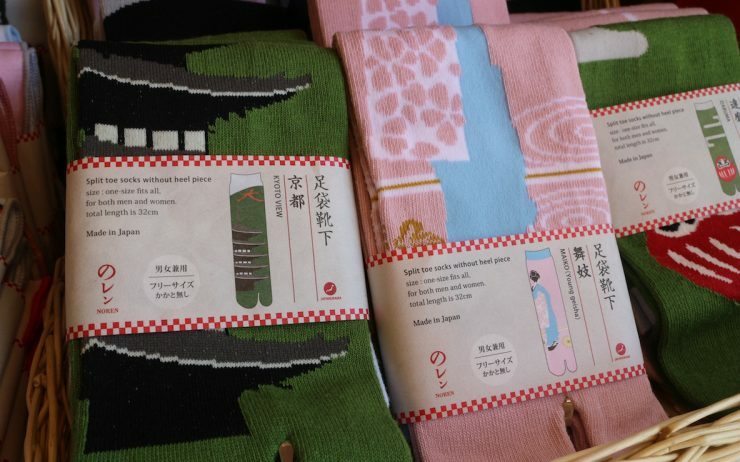 At that moment, a tourist comes into the shop and shouts excitedly, “Sushi socks! SO cute!” This happens at least four more times after – I can see what she means! 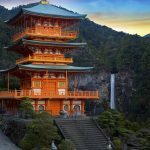 The store opened on the 9th of October and has been busy with more and more visitors in the approach to koyo season or autumn leaves-viewing. 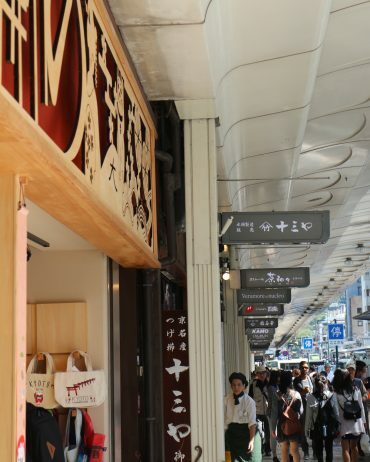 In addition to this store, they also have three other locations across the city, as well as one in Tokyo, with another opening up soon in Kagurazaka. 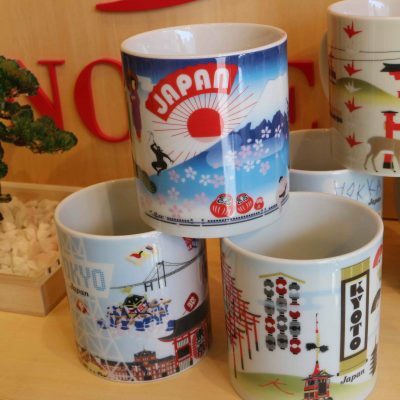 So why shop for souvenirs at Noren? 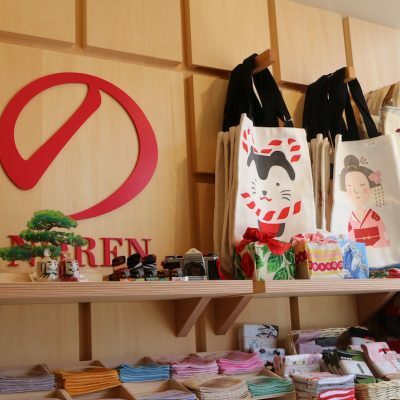 If you want to find a gift that is more than just a memento, something that brings the beauty of Japan into your everyday life wherever you are, then Noren is a good place to start. 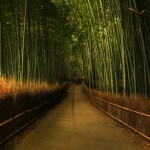 Access: 13 Otabimiyamotocho, Shimogyo-ku, Kyoto-shi, Kyoto-fu 600-8003. 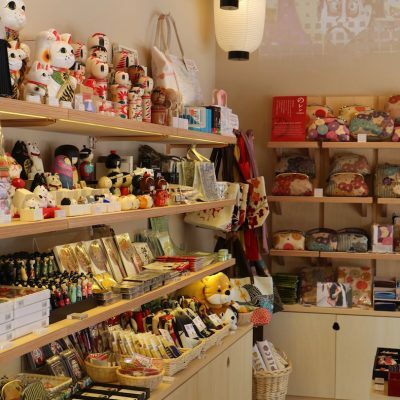 The store is located along Shijo-Dori, a 2-minute walk from Kawaramachi Station (on the Hankyu Line), exit 9. 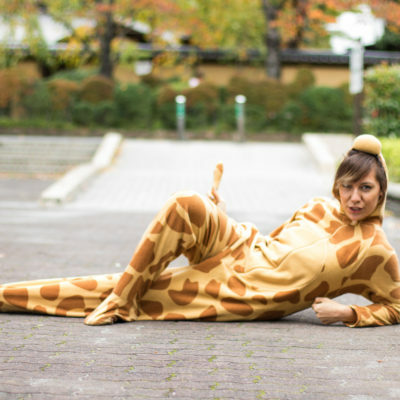 Opening Hours: 10 a.m. – 9 p.m.
-This is a GaijinPot sponsored article in collaboration with Corazon. 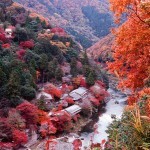 Kyoto lights up in November with the colors of fall.